Experiencing the spectacular outdoors and authentic California history are the main reasons visitors make their way to Tuolumne County. Enjoying all that the area has to offer comes the responsibility to be safe and to be good stewards. 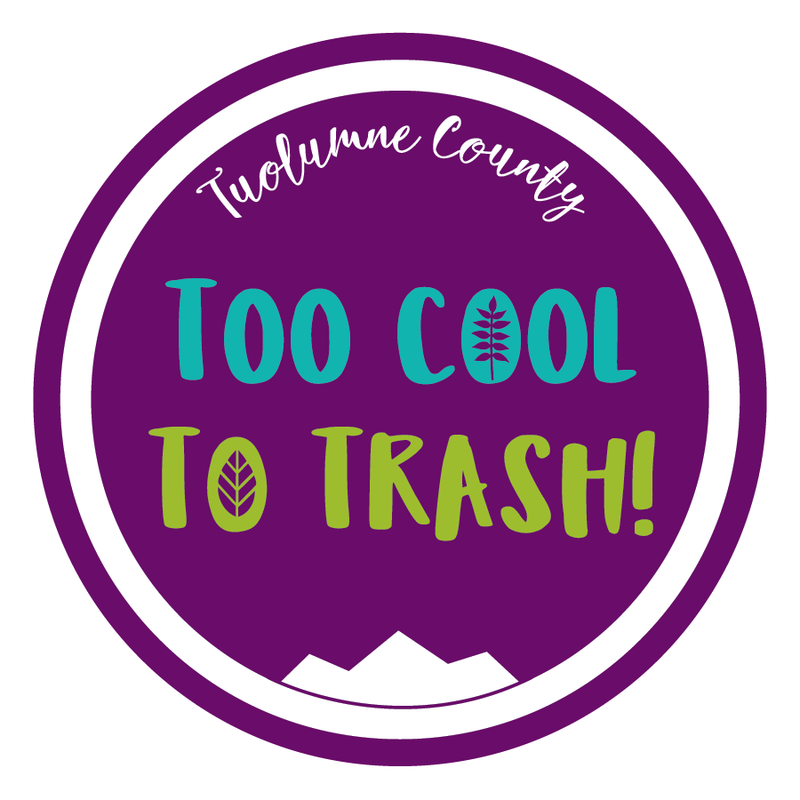 Tuolumne County is Too Cool to Trash! Always leave a place better than when you arrived, pack out your litter and recycling and dispose of it properly. Stick to marked trails to avoid harming plants, and consider taking a bag to pick up trash along your hike. Dogs should be on a leash while on trails and streets and picked up after. Please don’t disturb cultural artifacts. Take a look at the official Leave No Trace, Center for Outdoor Ethics website for more stewardship information. Make sure that nothing is dragging from your vehicle, particularly when towing and never pull onto dry grass or vegetation. Follow posted fire prevention signs regarding fireworks and campfires and other regulations. Learn the area you are visiting and know two ways out of every room, every building and every community you are in. Get a campfire permit online at preventwildfireca.org/Permits or from a CAL FIRE, U.S. Forest Service or BLM station if necessary. Keep your campfire small, have a 10-foot clearance around it and don’t leave it unattended. Make sure you completely extinguish your fire using the “drown, stir and feel” method. Ensure there is 10 feet of clearance around your BBQ. Dispose of ash in a metal container with lid away from any flammable materials. Ashes may take several days to cool completely in the can. Do not discard them until they are cool to the touch. Ensure your equipment is in good working order and make sure you are using it the right way. Mow before 10 am, and never on windy days. All gas-powered equipment (ATV's, generators, motocross bikes, weedeaters, lawn mowers) require a spark arrestor. Check your equipment prior to use to ensure your spark arrestor is installed and is clean and serviceable. Shoot in areas free of vegetation. Use safe targets, such as paper or clay pigeons, as steel targets or rocks may throw sparks into nearby vegetation. Have a shovel and fire extinguisher on hand in case a fire does spark. Take a communication device with you. Always check the weather before you head out. High Country weather can and does change quickly. Be prepared! Carry extra water, food and appropriate survival supplies. Sign Up for Tuolumne County Citizen Alerts while you're in the area. Should a fire or other emergency occur, tune your radio to a local station (FM 92.7, FM 93.5, FM 102.7 or AM 1450) for updates.